Genie: O great one who summons me / I stand by my oath: loyalty to wishes three! 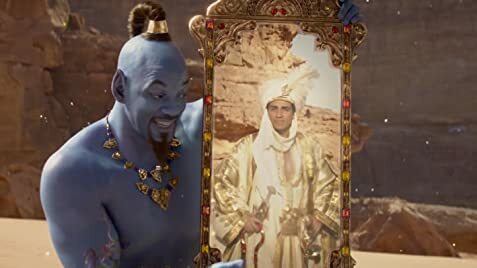 Genie: Okay, watch this... you ain't never had a friend like me! The Disney logo is set in the Arabian desert.